Miami’s top cosmetic dermatologist reveals his secret Fountain of Youth. 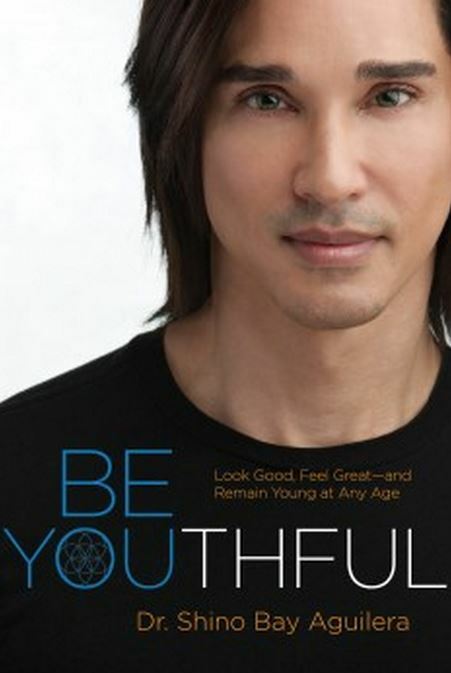 In his new book, Dr. Shino Bay Aguilera educates us on how we can look good, feel great—and remain young looking for the rest of our life. Dr. Aguilera’s book is an account of his remarkable insight into the application of anti-aging, physically and mentally enabling people to appear, feel and project youth and beauty, on the inside as well as the outside. Advanced techniques the professionals use to restore facial fat and contour tissue for a younger, more natural-looking appearance. The factors that cause ongoing damage to the skin—and how to protect yourself against them. Tips for preventing and treating the seven most common skin disorders seen in the doctor’s office. Skin requirements for every decade—from your twenties to your seventies—including protocols for the proper use of cleansers, toners, moisturizers, and sunscreen. Professional makeup tips to help women of any age look spectacular. Incredible benefits and possibilities of laser light technology in medicine and aesthetic surgery. Why being youthful is as much a product of your thoughts and feelings as your genetics. Reasons you can never start taking care of your appearance too early. This entry was posted in Beauty, Lifestyle and tagged anti aging, be youthful, dermatologist, dermatologisyt.